Our Team - FIRST ENVIRONMENTAL TREKKING Pvt. Ltd. 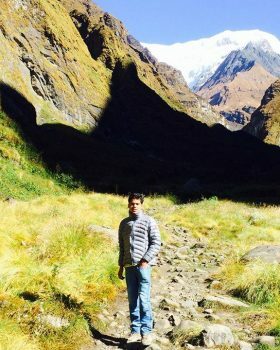 Being natives of Gorkha region, a place famous for the legendary Gorkha soldiers, our guides Deepak, Ram, Arjun, and Jeevan too are nothing short of a soldier when they are at work helping people trek through the beautiful, remote, and often rocky paths of Nepal. 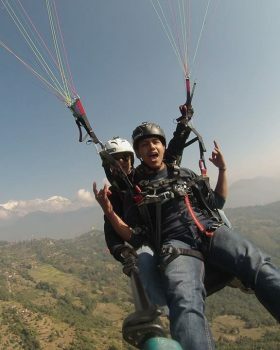 Just like the Gorkhas, our guides are super alert, skilled, organized, brave, and always ready to risk their life for the safety and welfare of their fellow travelers. Known and loved by everyone in their village and the surrounding regions, they too are like local heroes and legends in their own right. They are familiar not just with the culture and customs of their people, but also with the history of mountains, rivers, valleys, and religious places and monuments. 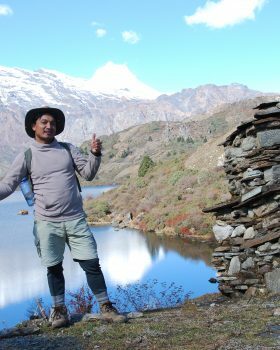 They specialize in guiding tourists mostly in the western and southern regions of Nepal, such as Annapurna, Manaslu, Dhaulagiri, Upper Mustang, Langtang, and Lumbini, which is the birthplace of Lord Buddha. 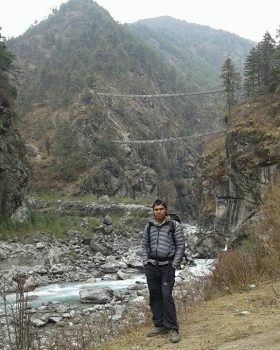 With their exceptional ability to deal with all kinds of situations related to trekking and their natural talent in winning the hearts of visitors, they have become a darling of many of our trekkers trekking in the western and southern regions of Nepal. They have always put an extra effort in making your trip in these areas extra special and memorable and, as a result, have never failed in impressing anyone who travels under their guidance. 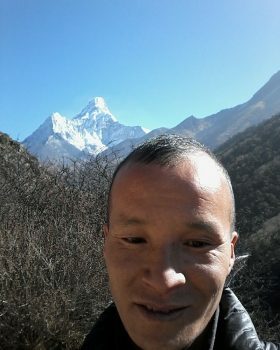 The Sherpas are primarily known for their strength, determination, honesty, and for their extraordinary ability to climb mountains, and our guides Ngima, Lhakpa, Phurba, and Dawa are no exception. They’ve climbed more than 10 mountains, including Mt. 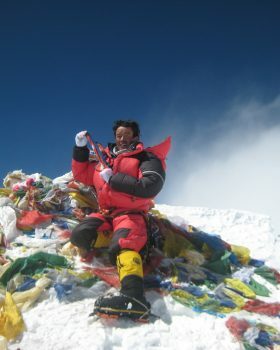 Everest, and have trekked in some of the remotest and most dangerous areas of Nepal. They are all natives of Solukhumbu District, the region where Mt. Everest is located. Having lived with the mountains since their childhood, they’ve become naturally suited to survive and thrive in very cold climate and high-altitude areas. 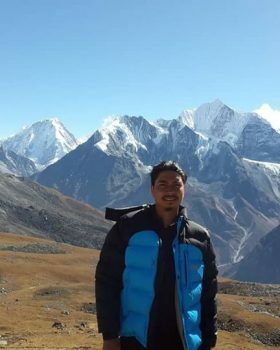 They specialize in guiding tourists and climbers mostly in the Everest region, which lies in the eastern part of Nepal and is the land where some of the highest mountains in the world reside. 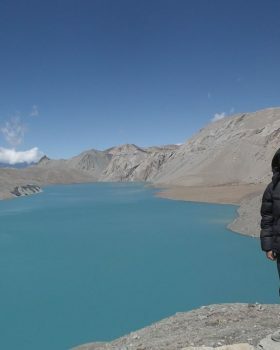 With all of them having worked in this field for more than 20 years, they are well experienced and skilled in handling all kinds of problems and unexpected events that one might encounter on their trip to these remote, high-altitude areas. 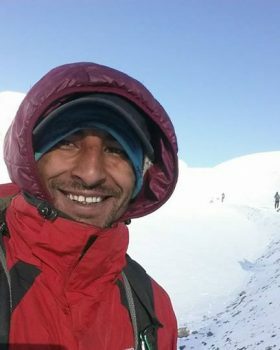 If you are looking to trek in the mountainous regions or are thinking of climbing some risky mountains of Nepal, you’d want to have one of these people by your side.